Here is a clay baker that lets you make moist, delicious meals for your family. You can use it for roasting meats, vegetables, and baking breads. It has an unglazed lid for moisture absorption and flavor. The glazed bottom makes cleaning easier. 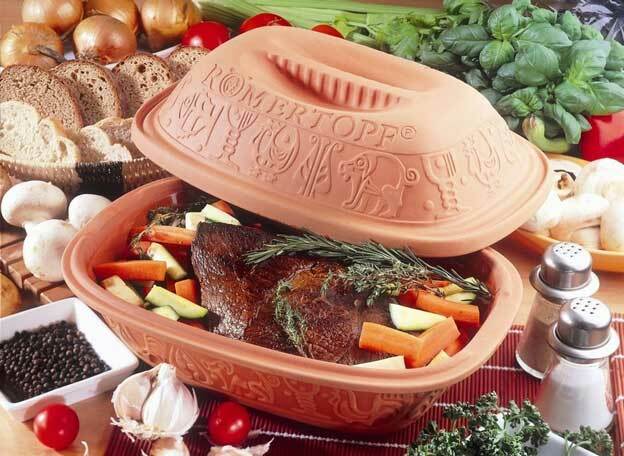 The Romertopf comes with a high domed lid to promote air circulation while you cook your meals. This is dishwasher, microwave, and oven safe up to 900 degrees.